This last year I turned thirty. It’s a big milestone in my life, and I felt like there were some changes I wanted to make as I headed into this next decade. And one of them was to own a real pair of pajamas. But I’ve been sleeping in t-shirts and leggings for the past two decades, and felt like it was time to own a real pajama set. So I bought a couple sets this past summer, and felt SO happy. I think every woman needs at least one pair of real pajamas. And then I washed them, and one pair instantly split a hole, and another pair shrunk to about half its size. Ugh. So it turns out that I don’t just need a pajama set, I need a QUALITY pajama set. So I’ve been doing some searching to find a beautiful, comfortable, high-quality pair, and found this set from Ugg. I’ve always know Ugg for their boots, but didn’t realize they also made clothing! The pajamas are such good quality, made of beautiful material, and this light blue color is so dreamy. They’re soft, luxurious, and so feminine — I instantly fell in love. I also got a new pair of slippers for myself since my old pair needed to be retired. I love this slip-on style of slippers because they’re cozy without making my feet too hot, and they’re easy to just slide on and go. Also the fur is so soft, it feels like I’m walking on clouds. 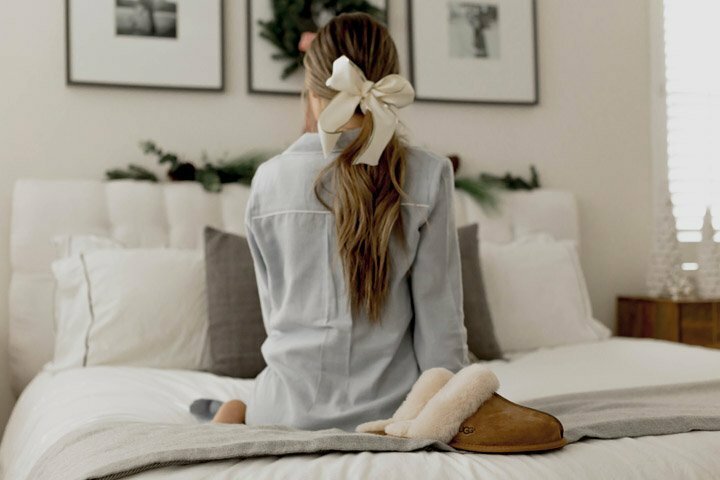 Nordstrom has a big collection of Ugg products, from boots and slippers, to pajamas and cardigans. Nordstrom is always my go-to for clothes cause it’s always free shipping and free returns or exchanges if I need to switch a size. 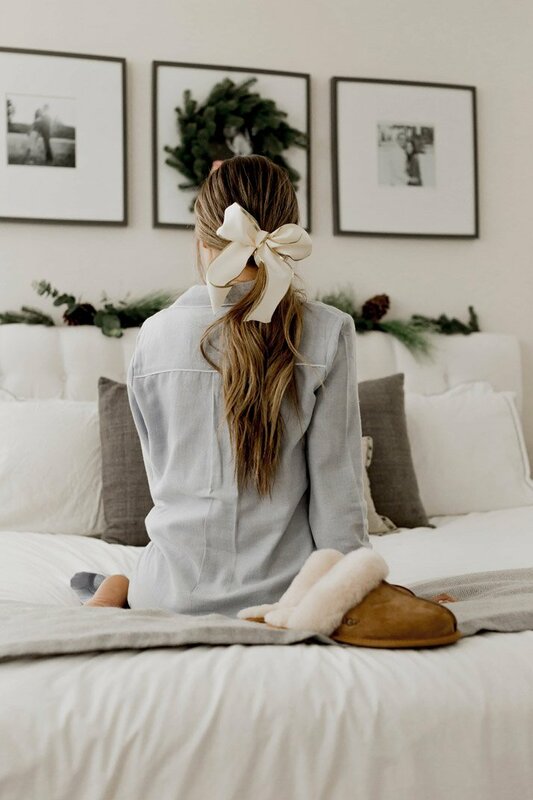 I linked to a few favorite Ugg collection pieces in the widget below! 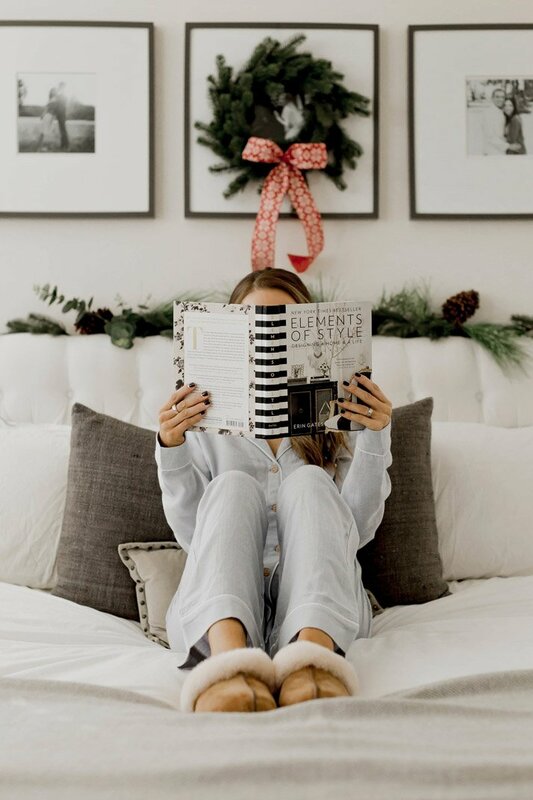 With the caveat That, as a Canadian reader, I’m NOT going to order Those ugg pjs – including shipping And duties, it’s over 150$, and that’s a bit much for lounge wear, no matter how pretty. 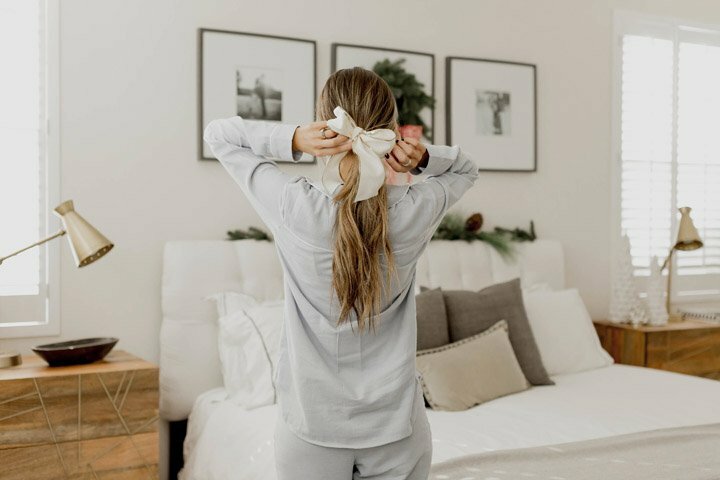 Oh yes, I agree with you, a perfect set of pjs is a must for every adult woman! I love your pj set! I got a robe from ugg last year for christmas and wowwwwww! that should be your next splurge.